Just whip up the fresh plain yogurt nicely and apply it all over your hair including the scalp. Keep it 20 minutes by covering with a shower cap and then, wash off with water. This simple yogurt mask can condition your lifeless strands deeply and make it smooth, strong and shiny. 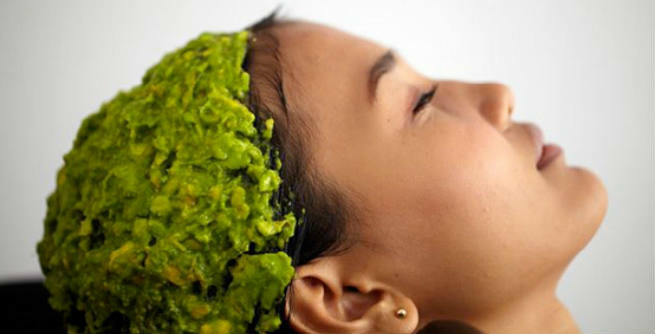 It will also make your scalp dandruff as well as itch-free and help you get rid of split ends. Make small pieces of the ripe banana and blend them in a blender. The pulp should be completely chunk-free. Add raw milk to it to make the mixture thinner and apply it all over the damp hair including the scalp and the roots. Wrap up the hair with a shower cap and wash off after 30 minutes. It will make your dull, dry and severely damaged locks moisturized, healthy and shiny. 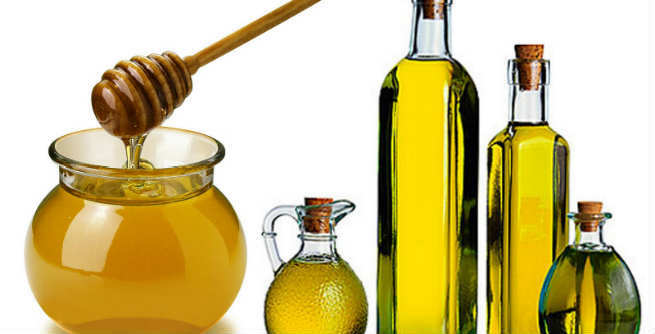 Blend raw organic honey with olive oil and create an even concoction. Apply it thoroughly to your damp locks and wrap with a plastic conditioning cap or a warm cotton towel. Rinse away after 30 minutes by using a gentle shampoo and lukewarm water. It will turn your dry damaged hair smooth, nourished and manageable, while repairing split ends and giving extra shine. Mix two types of oil properly and apply the mixture to your dry and thirsty hair, especially to the ends. Make a high bun and wrap it with a shower or plastic conditioning cap. After half an hour, wash the hair off with plain water. It will moisturize your hair deeply without weighing it down. Take the banana as riper as possible, cut it into small pieces and blend them smoothly in a blender. Pour raw honey into it and mix well so that no lump is there. Now, apply it all over your damaged hair. Wrap it up for 20 minutes and then, rinse out with plain water. It will make hair stronger and nourished without making it limp. Deseed the avocado and mash it well in a blender. Add the egg yolk to it and combine well to come up with a smooth paste. Apply it up to the ends of your hair starting from the scalp, cover with a shower cap and wash off with plain water after 15 to 20 minutes. The proteins, fats and moisture of the ingredients will revitalize your damaged locks.